Nikola Tesla was probably the greatest scientist in modern times, considering that without his inventions, we would be living a very different life today. Tesla discovered alternating current (AC) electricity and was the person who conceived and built the first AC power plant in the world at Niagara Falls, New York (USA). Tesla also invented the neon light, radio control, radar, the radio, and also demonstrated the first x-ray, Tesla coils and so on. Tesla's list of inventions is huge, though surprisingly today, he is not well known in the United States. In the past, however, Tesla was very well known in the United States and he was part of the intelligentsia in New York City. He was constantly featured in New York magazines and newspapers and attended all of the major parties in the turn of the Century. Tesla lived most of his life in the Waldorf Astoria Hotel and ate dinner almost every night at the famous Delmonico's restaurant in lower Manhattan. Tesla was a good friend of the banker JP Morgan, the writer Mark Twain and the famous publisher, Hugo Gernsbach (who himself coined the term "TV" and television, in 1907 and who was the first publisher of magazines covering radio, television and science fiction). Tesla fought Marconi in court regarding the radio and eventually in the early 1940's, the US Supreme Court stripped the patent from Marconi and awarded Tesla the patent for radio. 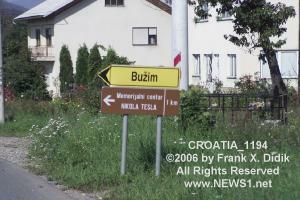 Tesla, who was born in Croatia village of Smiljan, in 1856, to Serbian Orthodox parents. His father was a Serbian Orthodox priest. and in his early years, Tesla lived next door to the church. Today, Tesla's home town is probably the same as it was back in 1856. 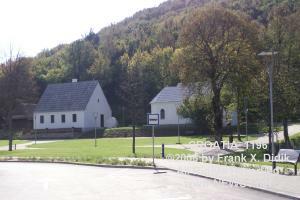 His immediate home and church as well as several other buildings are part of a new Tesla museum being set up by the Croatian Government. They have done a terrific job, from what I could see. 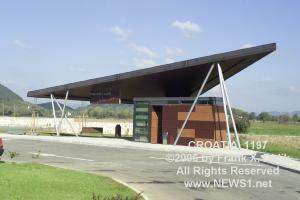 The president of Serbia and the President of Croatia attended the opening ceremonies for the new Tesla museum in Croatia in August, 2007. 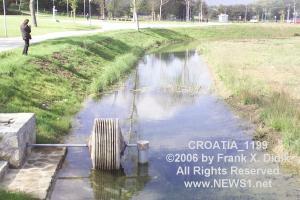 It could be that this unique inventor, who was of Serbian orthodox parents but lived in Croatia, may well be the focal point of a new dialog of friendship between these two great peoples. 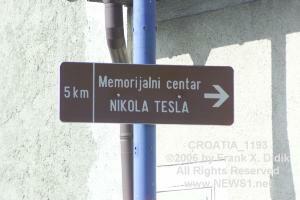 Much of Tesla's extensive archive can be found at the other Tesla Museum in Belgrade. Throughout the world today, Tesla has a huge following of inventors who feel that perhaps not all of Tesla's inventions have come to light. Much controversy surrounds Tesla's wave theories and some of his spectacular claims. One of the things that Tesla tried to do was to send electricity without wires. Surprisingly he succeeded on a small scale, though it would seem that he failed on a larger scale. Tesla's friend, JP Morgan invested millions of dollars into this project including a large facility in Colorado and also on Long Island in New York. The long island facility included a huge tower, which was dismantled in the late teens. The land is now part of the Shorum Nuclear Power Plant. Photographs, broadcast video and finished articles are available for immediate publication.